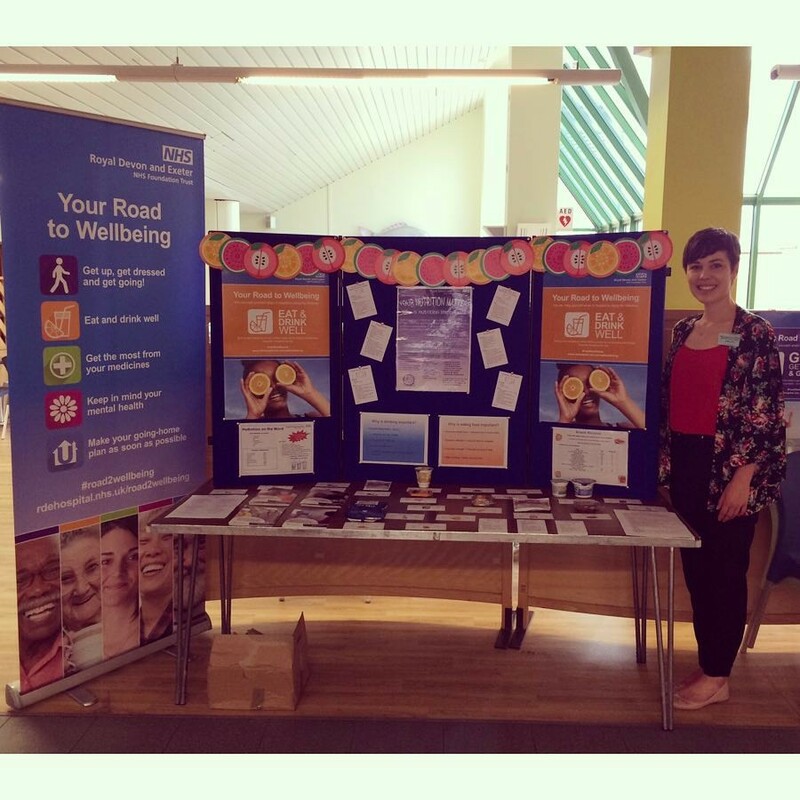 So here I am- a second year nutrition and public health student at Sheffield Hallam University! I was going to write “I never thought I would be saying that!” but the truth is that I always knew I would. Obviously, I knew it would ultimately come down to my results from first year and that was an element that I had to leave to the judgment of the academic tutors; but there was no doubt in my own mind that I would be returning to complete this course. Throughout the long summer my motivation heightened, my aspirations developed and my confidence soared. As I mentioned, the summer was long, but I think there is no denying that I tried to utilise my time effectively. A 4-week work experience placement with the Nutrition and Dietetic Department at the Royal Devon and Exeter NHS Foundation Trust was the first of the opportunities I planned. This experience was a challenge considering the last time I had been in a hospital setting was when I was being discharged from the eating disorder service, but it was an incredible opportunity that I never expected I would gain so much from. I was allowed to shadow dietitians from all departments, work on health promotion activities and develop information resources for various departments. I truly felt like a member of the team and that the work I was producing was genuinely appreciated! I developed so many skills, knowledge and respect for those that work within the NHS. I made the most of every chance I had to gain the most from the placement and I am so grateful for all of the guidance, support and time that the staff within the team dedicated to helping me succeed with this goal. Two weeks later and it was time for Bali! I am not going to regurgitate my previous blog post, but my goodness this was a journey, both personally and professionally. I had the time of my life, yet now that I look back even then it fuelled a determination to return to university and get engaged with the introduction to public health module I have during second year. This is an element of university that I love, the ability to explore subjects that you may never have considered as being applicable to your desired career path. Similarly, it allows you to use your personal experiences to bring a deeper level of understanding to a topic that you cannot gain from a textbook or journal article. These are all aspects of university that people tend to overlook, and something I wish I had told myself before! This time last year I was petrified about the core scientific modules on the course and felt that this was going to set me right back, but in fact, what I lacked in scientific knowledge, I made up for in passion, motivation and a desire to succeed. This all links back to one of my previous triggers- a focus on academic success. Before my journey to recovery, I would have absolutely dismissed the opportunity to apply for this course for the fear that failure was inevitable due to my shortage of scientific qualifications, yet I took that step regardless of every thought that told me otherwise. 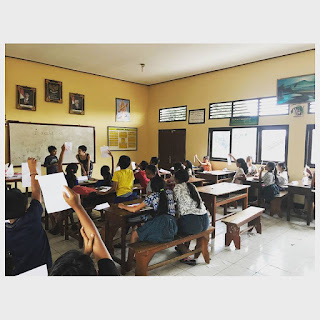 After seeing the deprivation in rural Balinese communities, I have returned from my travels acknowledging that if the children in those populations can excel fighting against every social and economic barrier that they face, I can continue working on my self-awareness to excel fighting against every mental barrier that I face. Welcome Week pretty much confirmed that my determination to make the most of my three years at university did not subside over the summer break. With stalls at the Societies Fair and Feel Good Fair and a range of Alternative Welcome Week events, we got straight to work with promoting Sheffield Hallam SU Student Minds- and raised £42 for Student Minds! It was tiring, but to see people engaging with all of the work we had done over the summer and making the effort to join in with our events was absolutely amazing. In my mind, there is nothing that I enjoy more than seeing individuals enjoying the resources and activities that we have worked on. We said right at the beginning stages of starting this society that if we can manage to just make one person happy, then we feel that we have done our job- and I think we have made a good start in achieving this goal. We still have a long way to go in reducing the stigma around mental health and encouraging people to develop skills to benefit their mental wellbeing on campus, but for now, the knowledge that so far we have 40 members that are passionate about doing this and helping others is more than I could have expected! After a week of fairs, trampolining, ice skating and gaming, I was not expecting the wake up call I experienced this week with a very thorough introduction to what was to come in order to achieve my degree qualification. Essays, lectures, assignments, presentations, placements- you name it, I heard it at least 6 times. Undeniably, a wave of doubt swept across my mind about why I had returned to study for a second year, but I reflected back on those very same thoughts I had this time last year when I arrived at university. Every thought convinced me that I could not do this, but I proved to myself that I could, and I can. Yes the modules are different and this year ‘actually counts’, but I really want to be able to apply myself to the university experience like I did last year. I have acknowledged that I need to be more conscious of the roles that I get involved with, but it was those roles that made my first year the incredible year that it was! I also believe that it was those roles that aided me in my recovery and restricted any possibility of relapse, because they provided me with the confidence, social interaction and motivation I needed through those inevitable difficult days. This year is going to be tough and I know that. There will be days when my negative thoughts will sense vulnerability, possibly achieving the impact it desires, and I know that. The course is probably going to expose me to more potential triggers and I know that. But I live in a house with four amazing girls, have an incredibly supportive network of friends, and have the strength, support and love from my family. I have no idea how this year will toy with my emotions and effect my behaviours, but I need to trust myself and my awareness of signs that things are going wrong. But don’t let me fool you that I am not in a positive frame of mind! I am ready to learn, enthused by the potential for Sheffield Hallam SU Student Minds and want to work on the personal and professional skills I developed last year. I am starting the way I am determined to go on!